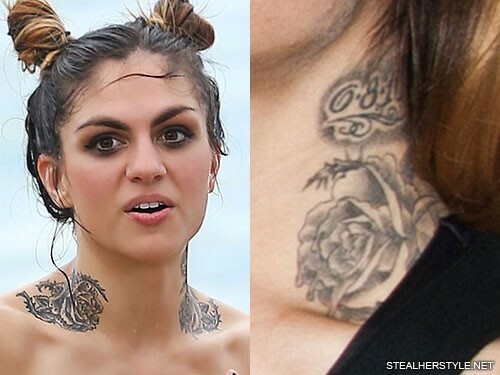 Jahan Yousaf has a tattoo of roses and thorns that stretches around both sides of her neck like a collar. 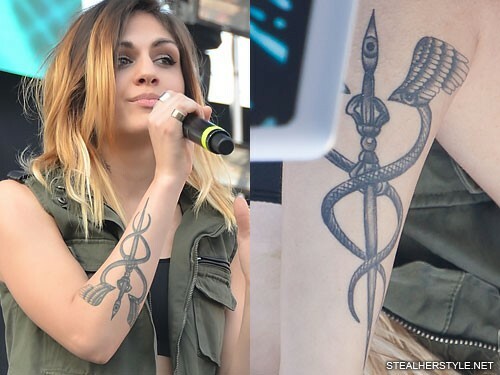 Jahan Yousaf has an intricate tattoo on her upper right arm. 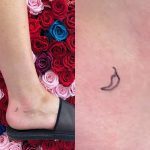 The design includes gears, and eye, and a crescent moon and star which are a symbol of Islam. Jahan grew in an Islamic household and went to Islamic school as a child. 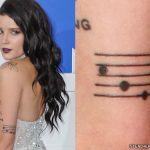 Her father is Muslim and was born in Pakistan, while her mother is a first-generation American of German and Lithuanian descent who converted to Islam when they got married. 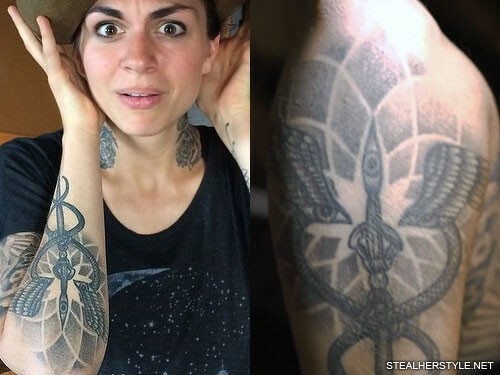 Jahan Yousaf added a dotwork mandala design on her right forearm behind her varja brush tattoo. 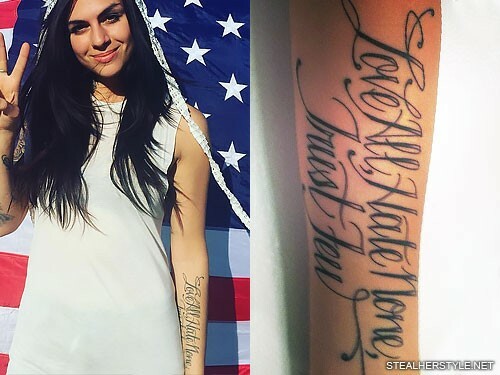 Jahan Yousaf has the phrase “Life is a Dance Floor” tattooed on the inside of her right forearm. They are fitting words for an EDM musician. 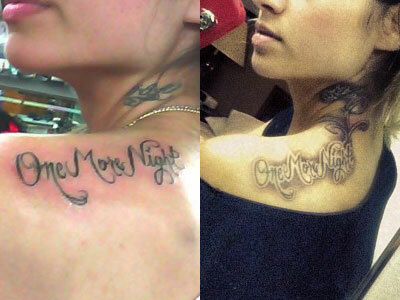 Jahan Yousaf tattooed the words “One More Night” on her left shoulder and then later added shading and swirls connecting it to her neck tattoo. 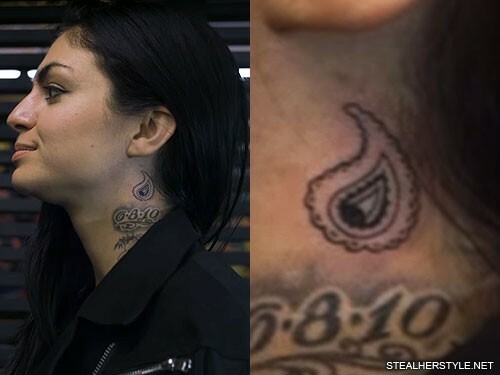 Eventually she added roses all the way around her neck which fill in the space between the tattoos on her neck and back and make it more cohesive. 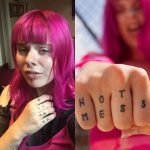 She has said that she can no longer count how many tattoos she has because they are all like one. 6/08/10 is the day I decided to drop out of college and quit my side-hustle job along with my sister Yasmine, our former band-member Kris, and our manager Nathan Lim who found us on Myspace. 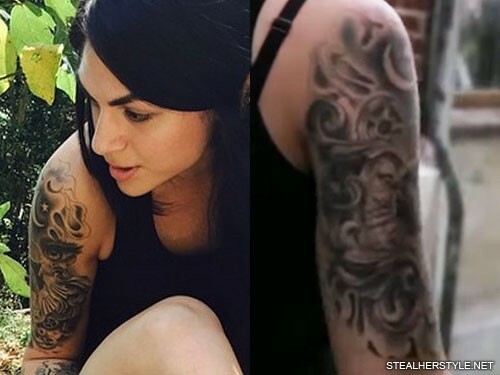 Letting go of the security of my college education as well as my source of income was terrifying, but in the back of my mind I knew that Krewella would never see the light of day if we didn’t nurture the project with daily practice, discipline, and work ethic. 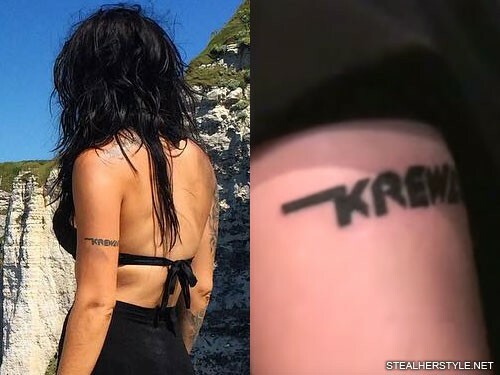 If we didn’t make the decision as a group to abandon all other pursuits to commit ourselves to music, I think I would have spent my life always wondering what Krewella could have been. 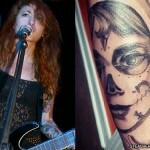 I think I would have been tortured with resentment for not taking a risk. 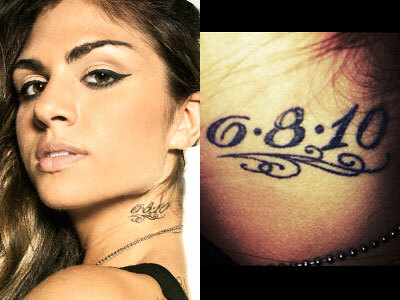 When we got the date tattoo’d on our necks, it was symbolic of our promise to Krewella, to never give up, and in a sense trapped us from ever getting jobs that required us to cover the ink in such an exposed place. 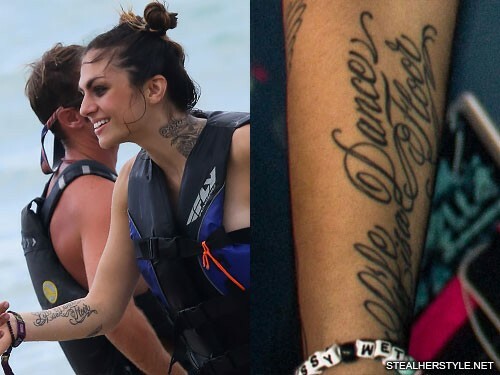 Her sister Yamsine, who has the same tattoo in a different font, bought her the tattoo for her 22nd birthday. 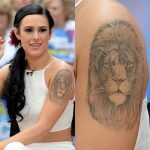 Since then, she has surrounded this tattoo with other inkings, but she hasn’t covered it.